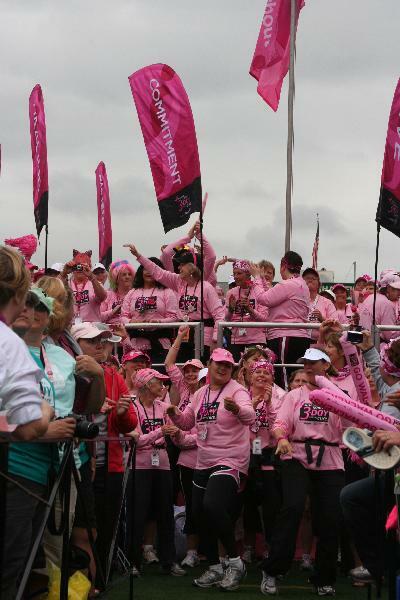 This is my THANK YOU post, for all those that supported me on my latest adventure – the 2010 Seattle Susan G. Komen 3-Day (60 Mile) Walk For The CURE. Most that I am thanking do not even know I have a blog, much less how to get to it. But I feel I should put out a public acknowledgement. So, here goes. Thank you to Dana for being my tent buddy and to Amy and Sally for allowing me to join your intrepid team on the walk itself. I hope all of the blisters are fading into a memory. Thanks to Mary Lou, Sheila and Spence for remembering me from Michigan, and for braving the Seattle rains. You are indeed Kindred Spirits. Special Thank yous to Asea for the pie idea, Asea and Paddy for the pies, Paddy for the ponchos (bought 4 years ago, and finally put into official use), Shelley for a bed and a very early morning ride, and Ed for orange slices (not the fruit). for contributing to the goal of finding the cure, in our lifetime. Because, everyone deserves a lifetime. This entry was posted on October 1, 2010 at 12:33 pm and is filed under Uncategorized. You can follow any responses to this entry through the RSS 2.0 feed. You can skip to the end and leave a response. Pinging is currently not allowed.